Sometimes, those generic airport stores nevertheless give you a pretty good idea of exactly where you are. 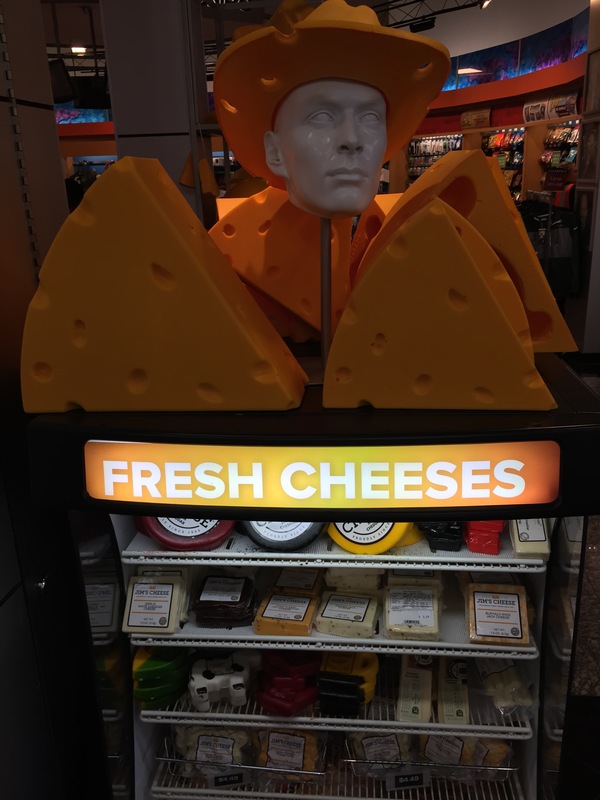 Could anyone seeing this cheese-oriented presentation, complete with a cheese cowboy hat, doubt that they were in Milwaukee, Wisconsin, the self-proclaimed cheese capital of the world? This entry was posted in America, Humor, Travel and tagged America, Cheese, Humor, Milwaukee, Travel, Wisconsin by webnerbob. Bookmark the permalink.